This plant will never leave you, never die, it will never ask for food or water, it's only wish is to be admired once in a while. 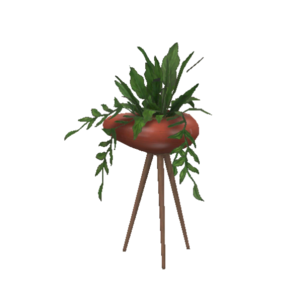 Simply put, this plant is awesome! 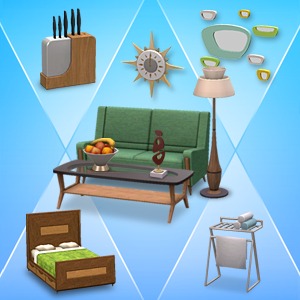 Deck out your home in mid-century modern style! With neato dining, kitchen, bedroom, and bathroom sets, your house will be ready for a swingin', Simy good time! Get everything new for the month of May with just one click! 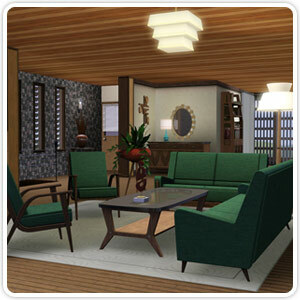 This compilation includes the Tiki Outdoor Party, Mid-Century Fantasy, and Everyday Casual Chic sets. Ever fantasize you were stuck in the 1950s? Ever wanted to give your Sims the same experience? Well with this fantastic new set you can!